I couldn't wait to get out on a trail.... I think I should have picked a less technical one but I sure did have fun!! 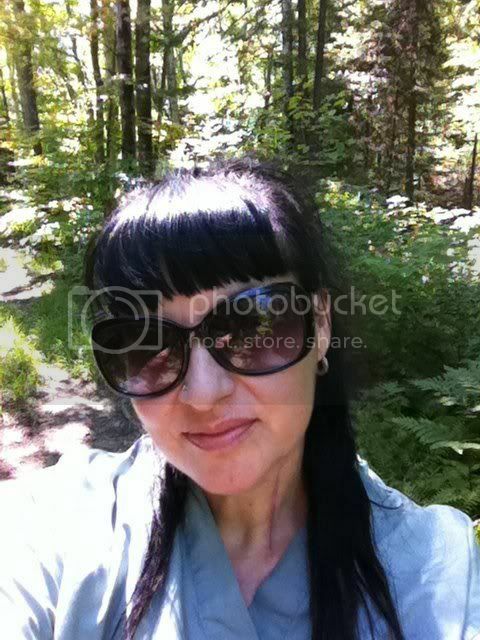 I was out for 2 hours but took a lot of stops to take pictures, after my falls, to eat and just take in the scenery. What a gorgeous day! Lots of hikers out but I was the only runner! My goal was to get use to the hills and rough terrain.....not my time. 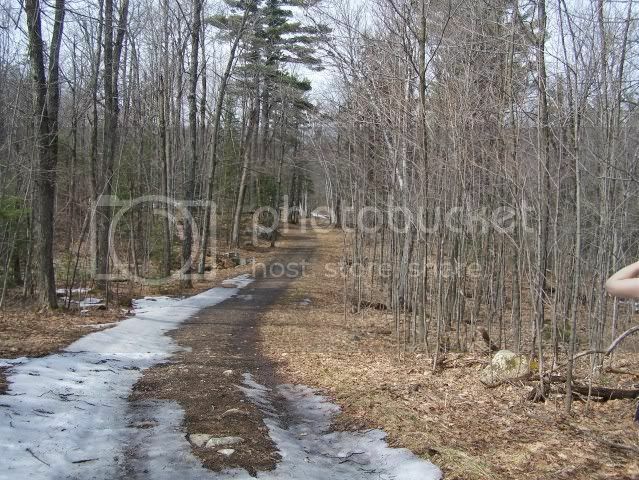 The trail ranged from packed snow, very slippery slushy snow, deep, wet mud to clear and dry. Most of snow was at the lower elevation and the mud around mid elevation. I ran, jogged, walked and eventually limped (for a bit) for 7.74 km. I followed #62 but I did it clockwise - reverse of how I usually run it. This must be why I missed a marker and took a 500 m detour! The 2nd was at 6km when I rolled of the left ankle, followed by my right foot slipping and slightly rolling in the mud ...... down onto my right shin... sliding forward with my arms out to stop. This one hurt! A group of hikers wanted to walk me back - 3km but I refused so the guy made a walking stick for me. I walked with it for about 1 km... until the trail dried up a bit - then I ran! The 3rd fall was over a rock and I rolled my left ankle again. This really hurt!! I walked the remaining 2 km, stopping to put snow and cold stream water on my shin and ankle. My left ankle is slightly swollen and the rash really hurts but neither are too serious so they shouldn't keep me down for more than a day or two. I loved the run/walk despite the turned ankles and road rash. Last edited by msdesigner on Mon Apr 05, 2010 7:22 am, edited 2 times in total. 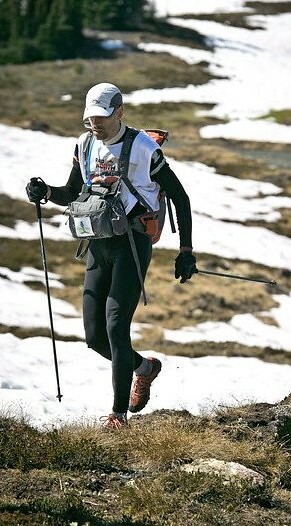 Running 26.2 miles is not limited by physical capabilities but rather by the mind. ow, that scrape looks painful!! Looks like an awesome trail. You know you've found a good one when it wants your blood! Hi. 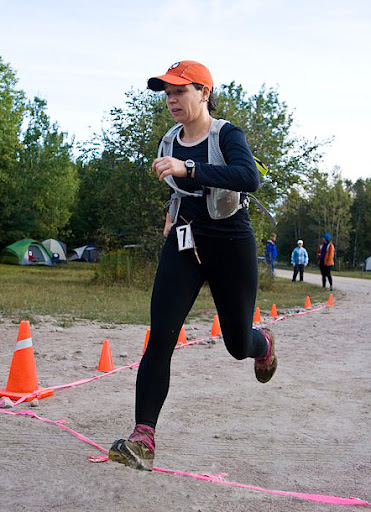 My name is NG and I want to run Haliburton. Thanks for the cool photos, plus OUCH! Sounds like / looks like a good day... okay maybe not the rolling of the ankles. That will be a nice battle scar - be proud of that one. 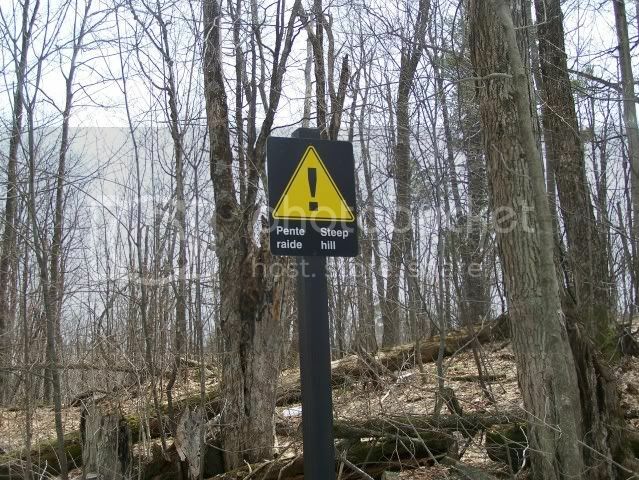 I'll give you my Gatineau Park trail report. 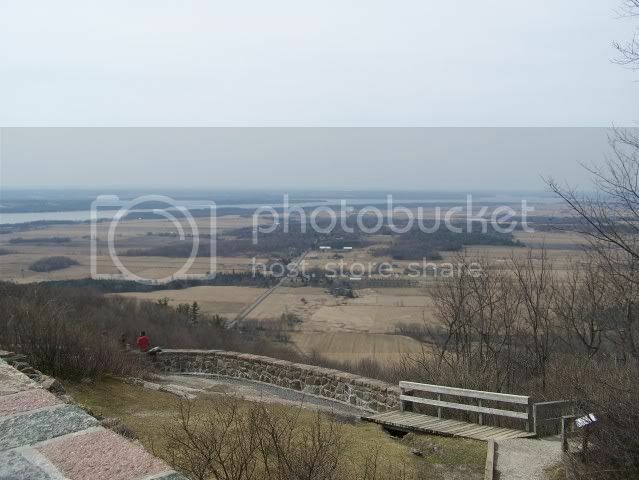 It was Ridge Road (which is #1) from P7 (Kingsmere) to Champlain Lookout. You access Ridge from #30 from P7. 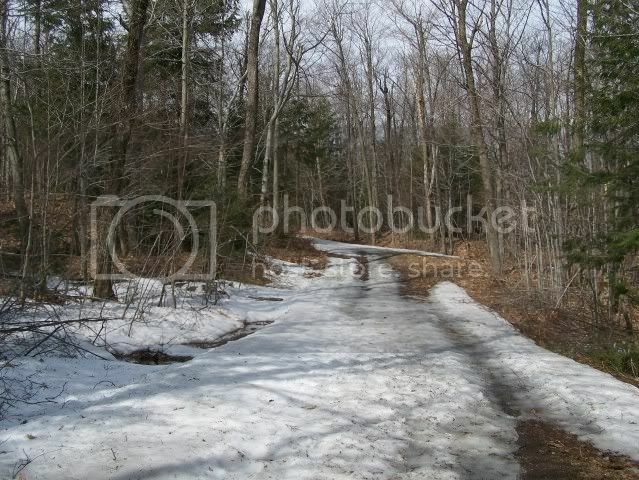 In the lower elevations, there is still quite a few snow/ice covered areas on the trail, with the bush being bare. A little farther along, you start losing the snow covered areas, but the trail is muddy with areas of frost heaves and water. When you leave the maple/hardwood forest part and get into the softwood areas that are more covered over, you get back into the snow/ice covered trail area. 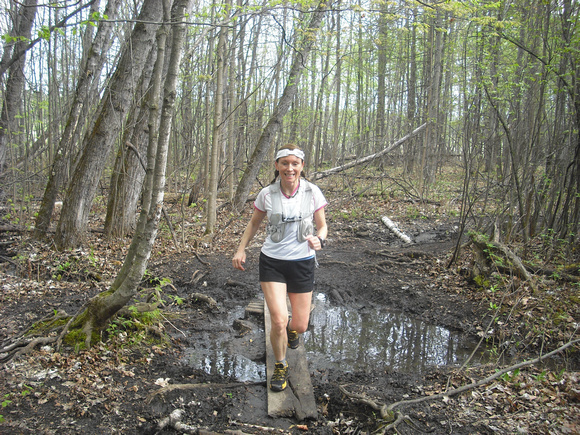 This area has a few real muddy areas with a few areas with water covering the trail. I'm posing like a weirdo with my "I am a nerd" hat. We could have used this sign at the bottom of the long, long hill we just climbed up. An arse-busting hill! The higher elevations you totally lose the snow. The birds were crazy loud in this area. Me thinks they were doing naughty things in the tree tops. Here is the reward. 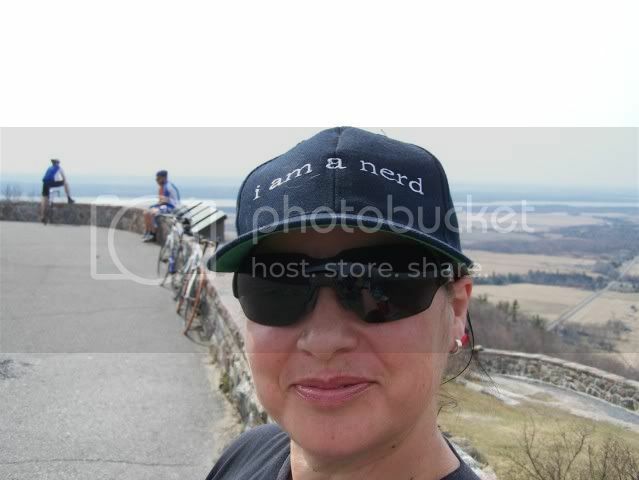 Champlain Lookout! Here is me, trying to get a picture in the background of the hot cyclists behind us. Total of 15K. It was a great day! I would love to come back to this trail to do some hills. Wow! That's quite the run! That's a crazy long run! Impressive!! I changed the thread title.... hopefully we will get reviews of more trails in the area. Great hat Carrie! And nasty gash msd. Thanks for the reports! 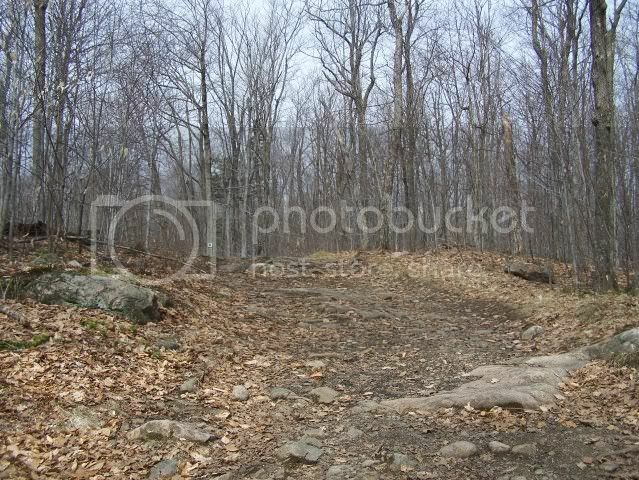 I'd like to try some Gatineau trails this summer and it would be wonderful to have an idea of what to expect and where to start. 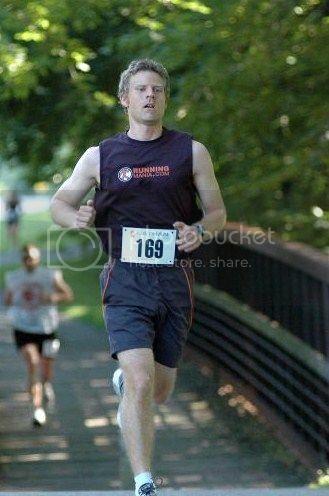 msdesigner wrote: That's a crazy long run! Impressive!! The water must have been brutally cold! Nice shots, everyone! Keep 'em coming. 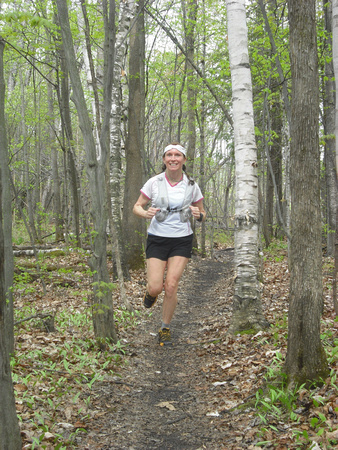 One of these days I hope to do a nice big run in Gatineau Park on those crunchy trails. 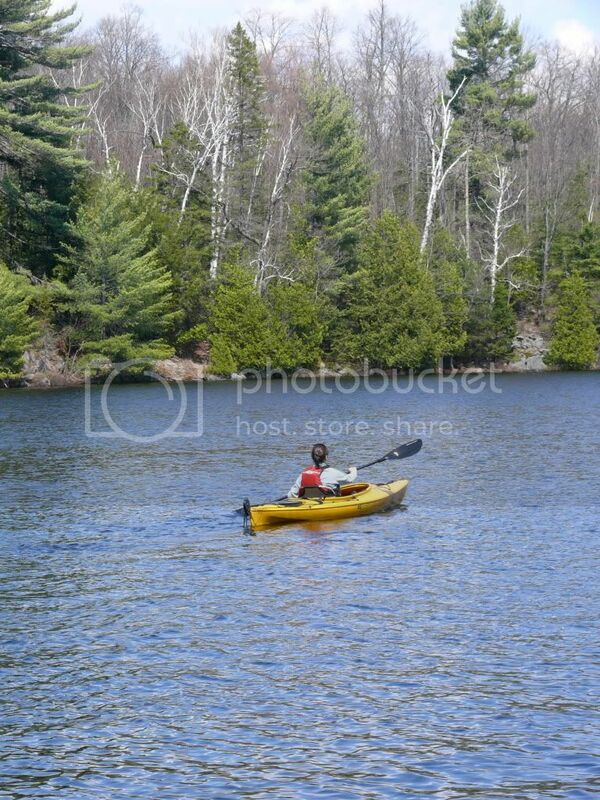 I can't wait to hit the trails!! Got my new trail running shoes by mail last week... now I have to put some mud on them!! Nice shots Carrie and Sherry !!! If I can figure out how to get to P7, I might run the trail Carrie reported on as my LSD this weekend. My new trail shoes haven't come in yet so I want a less technical trail. Good to see this thread has pulled you out of the wooodwork JF !! 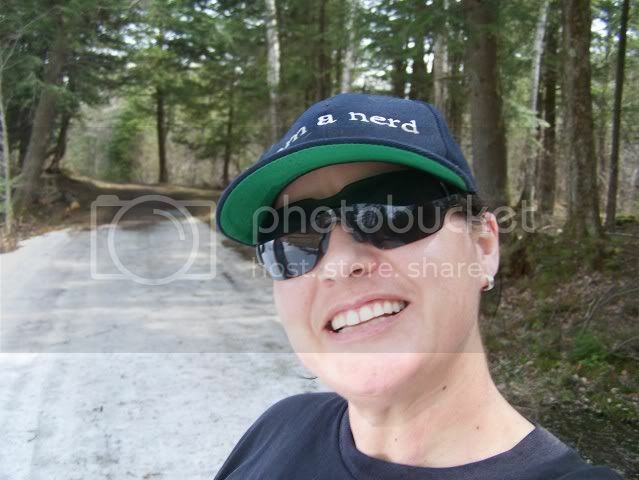 msdesigner wrote: If I can figure out how to get to P7, I might run the trail Carrie reported on as my LSD this weekend. My new trail shoes haven't come in yet so I want a less technical trail. Isn't P7 where we ran the first group trail run last year? If so, let me know and I can give you directions. This weekend was Giant's Trail (out and back), which is P11 (O'Brien's Beach) and taking the #36 north along the Trans Canada Trail. 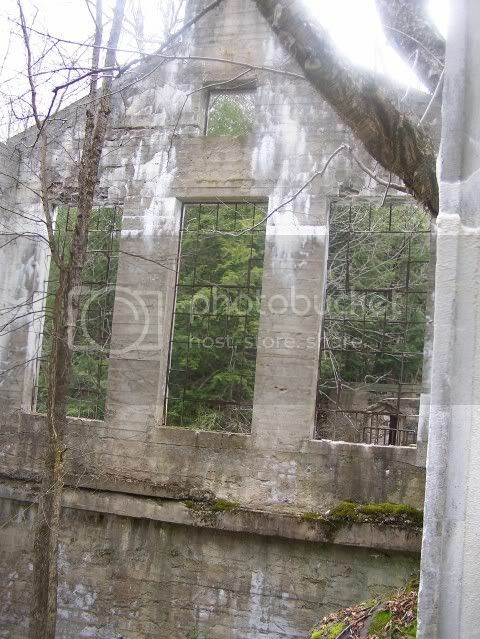 There was a side trip to the old ruins (called Willson's Ruins, an old mill built in 1907). 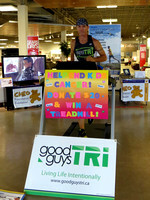 We went out to where the #36 merges onto the #50 and came back for a total of 12K. It was a mostly cloudy day and the ruins and the geology of the area made it feel a bit like Shutter Island. Cool. The path starts off pretty easy and non-technical, but with a lot of hills. 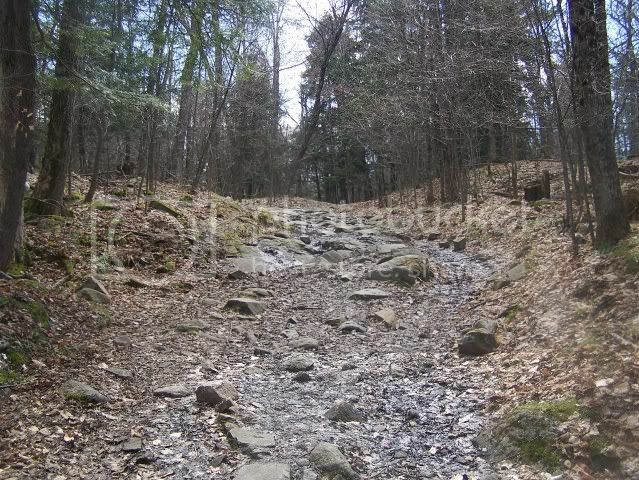 Here is where the path crosses a bridge over a creek from Meech Lake to Little Meech Lake. 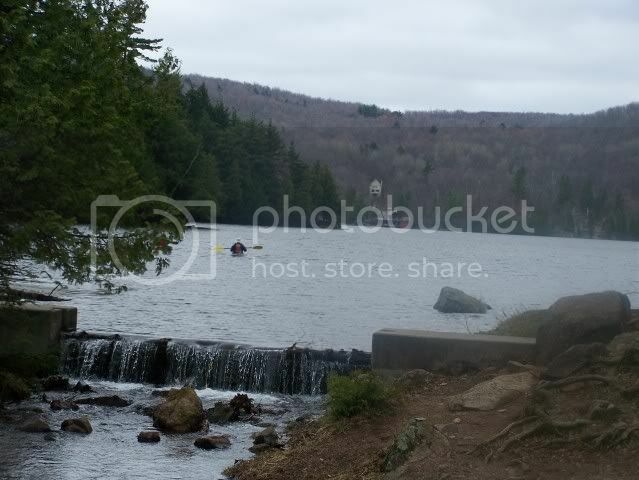 You can see kayakers on Meech Lake here. After this bridge, there is a side path to the right to the ruins. It is well worth it to go and see them. It's about 0.5K off the trail. 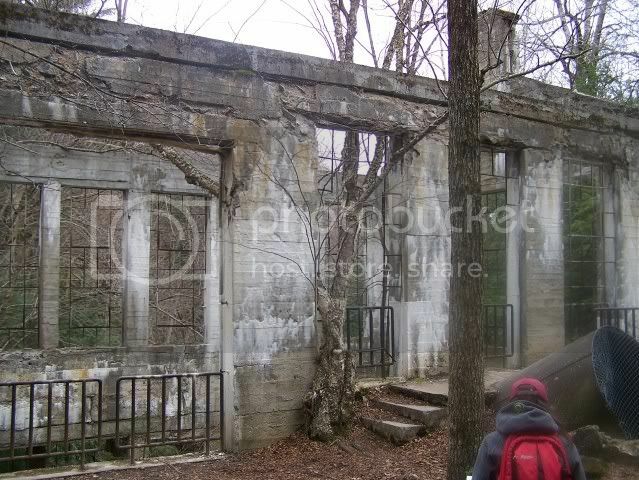 This is the main part of the ruins. 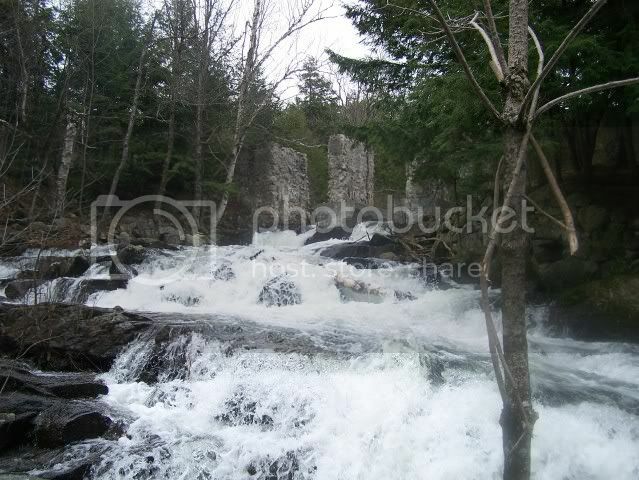 Here is a great view of the waterfalls right beside the ruins. There are some great unofficial paths all along the ruins and the falls. I would love to explore these someday to see where they go. 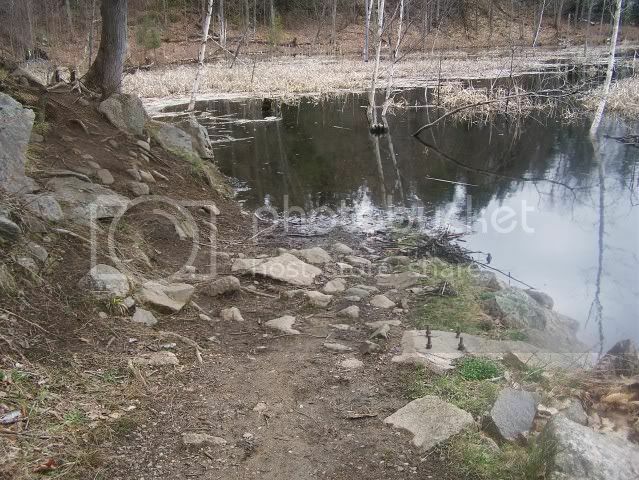 There is one place where a beaver pond has totally flooded the path, but easily navigated around over a hill. 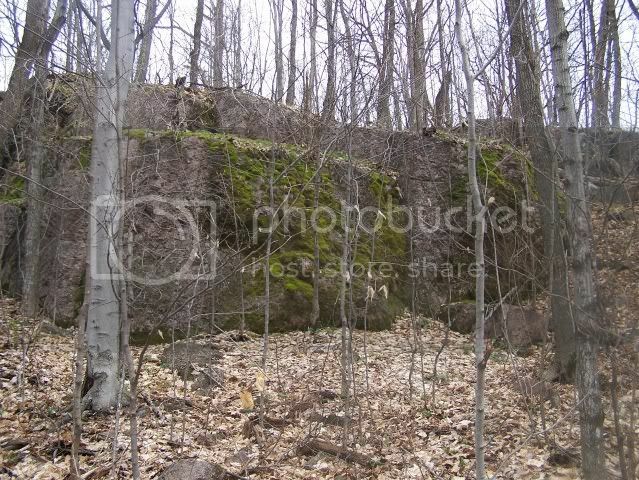 Some great geologic formations of Canadian Shield if your in to that. I like the mossy bits. The sun came out on the way back, just before we hit Meech Lake again. 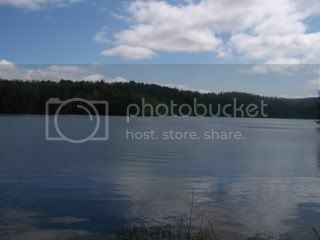 This is Meech Lake. A rocky technical part. 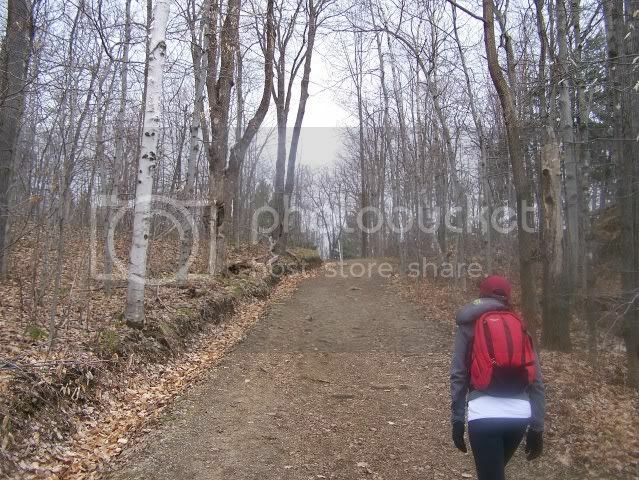 I fell running DOWN this hill, but somehow stayed upright running up this hill. Great reports, keep 'em coming! Jon, how long is the Green's Creek trail? Where do you access the trailhead? treadlightly wrote: Great reports, keep 'em coming! That's the great thing, it's a pretty convenient place to get to, Bearbrook road which is right off of Montreal road (continuation of the Rockcliffe Parkway). You can also just park at the Hornet's Nest soccer field a bit further up Bearbrook as well. The actual trails are sort of interspersed all over the place so none of them are particularly long. That said, I did a solid 16km there just the other week, hitting up various parts but never actually looping any one route, so there's a surprising amount. I've been running there sporadically for two years and I'm still finding new paths every once in awhile. Carrie, I've stood just where you are at the lookout many a time and there always seem to be cyclists there... *wink*. And that hill you climbed is certainly a big one. Good for you! Oh, and the photos of Meech & area are haunting; very moody day. Eric, I've climbed up to the tower above Luskville Falls a few times. I enjoy the little picnic area down below, the foliage in fall (very pretty there), and the falls... it's hard to tell in that photo, but was there a lot of runoff this year? Couple of shots from yesterday from the Trillium Woods in Kanata North. Not sure how much longer we will be able to enjoy these trails. They have started cutting down the trees for the Terry Fox extension and there is Orange Tape here, there and everywhere. Still for now, quite easy to get in a 2hour run, Not hilly, but can be quite technical in some places. Strider wrote: Couple of shots from yesterday from the Trillium Woods in Kanata North. Not sure how much longer we will be able to enjoy these trails. They have started cutting down the trees for the Terry Fox extension and there is Orange Tape here, there and everywhere. Still for now, quite easy to get in a 2hour run, Not hilly, but can be quite technical in some places. I understand land being at a premium but this is just wrong. I wonder how long the north section is safe?